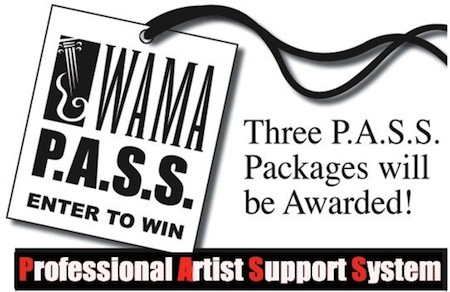 It’s that time of year again for the Washington Area Music Association’s Professional Artist Support System Contest. Musicians and bands can enter the performance competition to take their music to the next level. With prizes such as a live performance at the WAMMIES, $800 credit at Oasis Disc Manufacturers, $500, CD Mastering at Bias Studios, Promo Video package by Berger Video and much more! Deadline is Midnight, October 2nd, 2013! Submission Fees: WAMA Members: $15 per song. Non-Members: $50 (includes your 1-year membership, a $35 value, and submission of 1st song). Add $15 for each additional submitted song. For more information on how to enter go to www.wamadc.com.